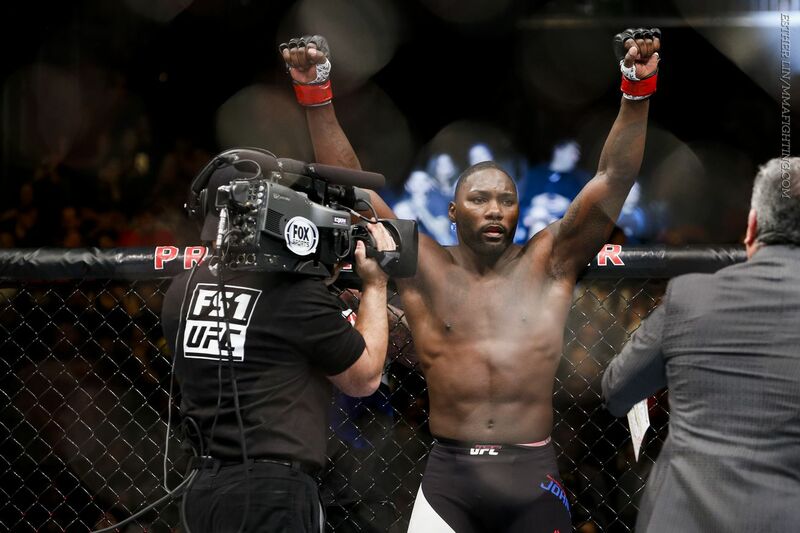 The much-anticipated Anthony Johnson vs. Glover Teixeira fight is off. According to sources, Johnson has been forced to pull out of the July 23 fight. It is unclear at this time what caused him to withdraw from the fight. The promotion has yet to finalize who, if anyone, will replace Johnson against Teixeira on the main card, which will air live on Fox from the United Center in Chicago. Johnson (21-5) was looking to score his third straight victory after knocking out Ryan Bader and Jimi Manuwa in a span of four months. At 5-1 as a light heavyweight in the UFC, “Rumble” was hoping to get a shot at the title with a win over Teixeira. Teixeira (25-4), who is also climbing the rankings looking for another crack at the belt, is currently on a three-fight winning streak with impressive finishes over Ovince St. Preux, Patrick Cummins and Rashad Evans. MMA Fighting will have more on this story as it develops. How Can UFC Vet Mirko Cro Cop Fight in Rizin Grand Prix?